EK6-12/31.5 indoor AC high voltage earthing switch is an advanced level product with high-tech parameters performance. 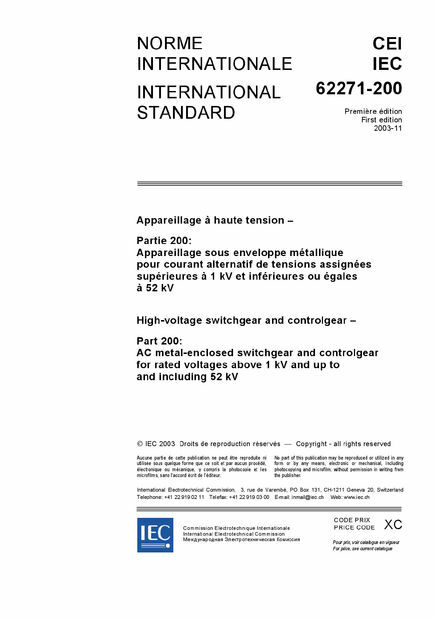 After comprehensive evaluation,it conforms to GB1985 and IEC62271 standard ,applies to power system of 3-12kV and three-phase AC 50Hz.It owns short-circuit making capacity to protect other electric equipment not being damaged.Can be used with various high voltage switchgear,also play a protective role in the high-voltage electrical equipment overhaul. 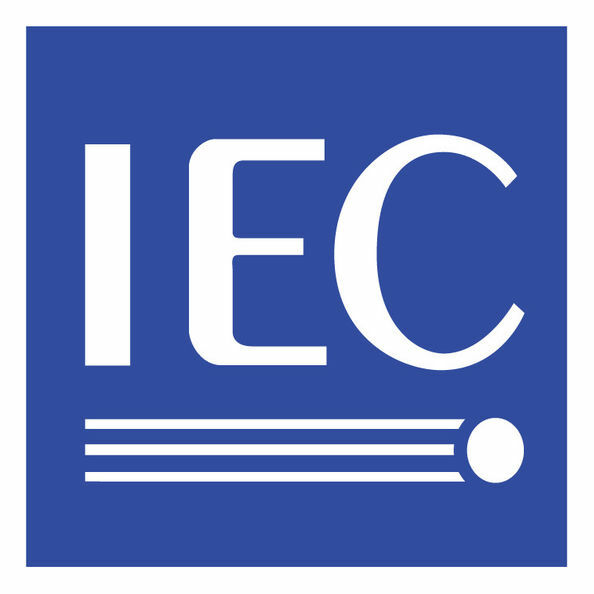 Earthing switch, a mechanical switch used in the grounding part of a circuit, belongs to the isolation switch category. It can carry current under abnormal conditions(such as short circuit current) for a certain period of time, but it is not required to carry current under normal circuit conditions. Note: Ground switches may have short circuit connection capacity. To ground high-voltage equipment and lines during maintenance in place of portable ground lines to protect personal safety . 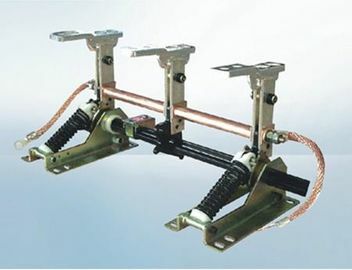 The ground switch is a kind of mechanical switch device used to intentionally ground the circuit. The earthing switch may carry the rated short circuit current and the corresponding peak current in the specified time under the abnormal condition(e.g. short circuit); Under normal working conditions, however, no rated current is required. Ground switches and isolation switches are often combined into one device. At this point, in addition to having the main contact, the isolation switch is also equipped with a grounding switch for grounding one end of the isolation switch after separation. The main contact and ground switch are usually interlocked in such a way that the ground switch can not close when the isolation switch is closed and the main contact can not close when the ground switch is closed. 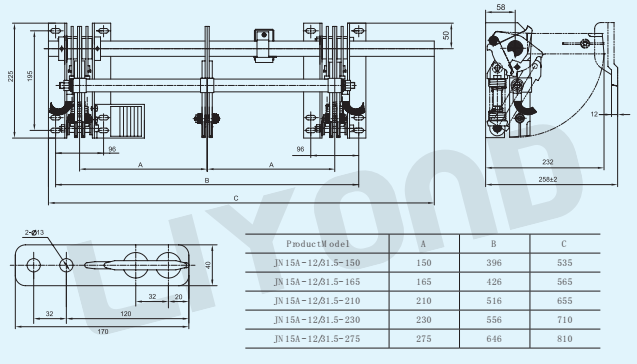 The ground switch can be divided into open type and closed type. The former's conductive system is exposed to the earth gate in the atmosphere, which is similar to the isolation switch, while the latter's conductive system is closed to the SF charge.